The Things That Happened, Installation view, Steve Turner Contemporary, May 2011. Long House with Covered Porch, 2011. 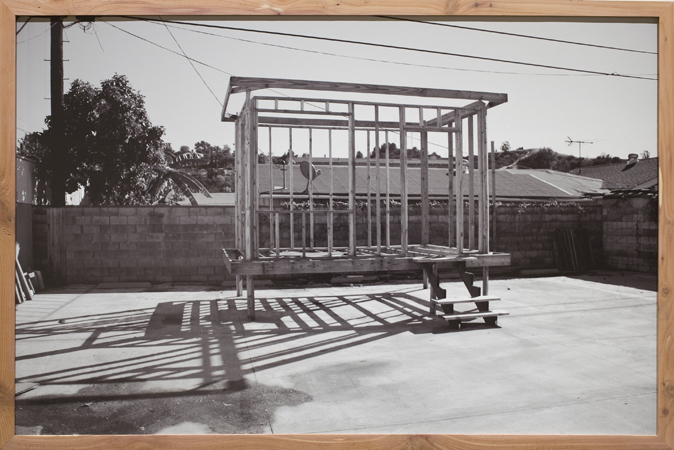 Archival inkjet print in artist's frame, 15 x 20 inches. House with Two Rooms, 2011. 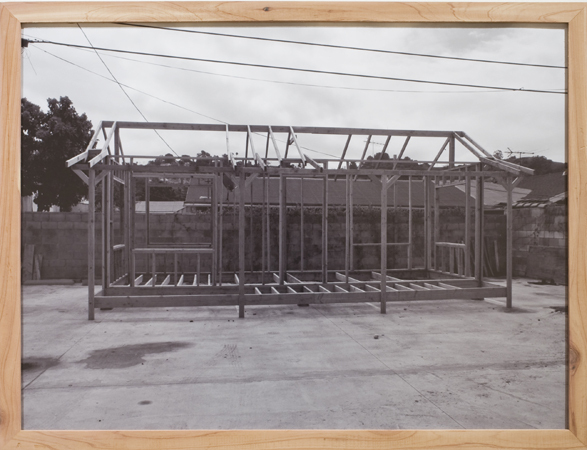 Archival inkjet print in artist's frame, 20 x 30 inches. Small House, 2010. 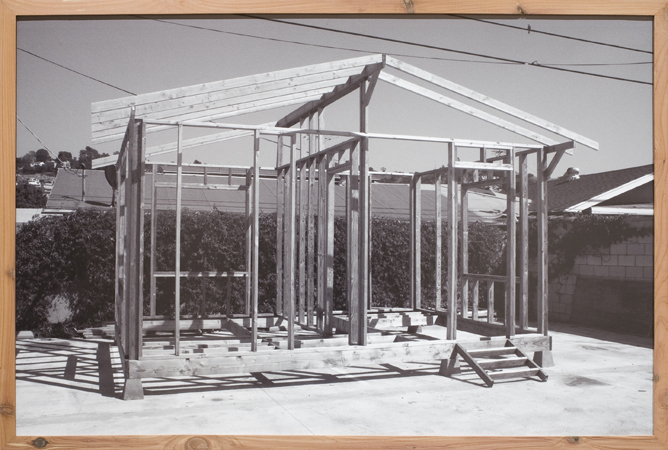 Archival inkjet print in artist's frame, 15 x 20 inches. Long House with Covered Porch (Night), 2011. 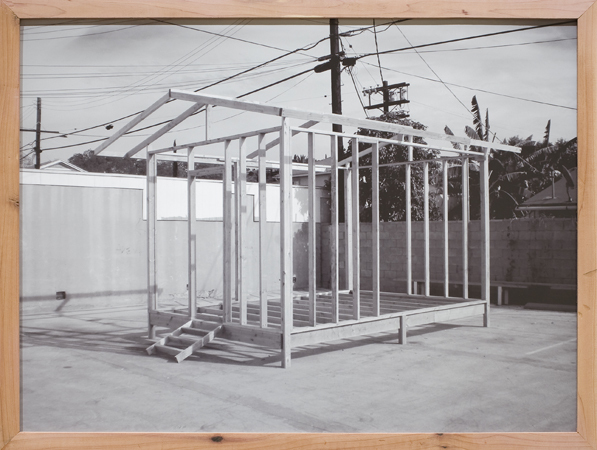 Archival inkjet print in artist's frame, 20 x 30 inches. Modern House, 2010. 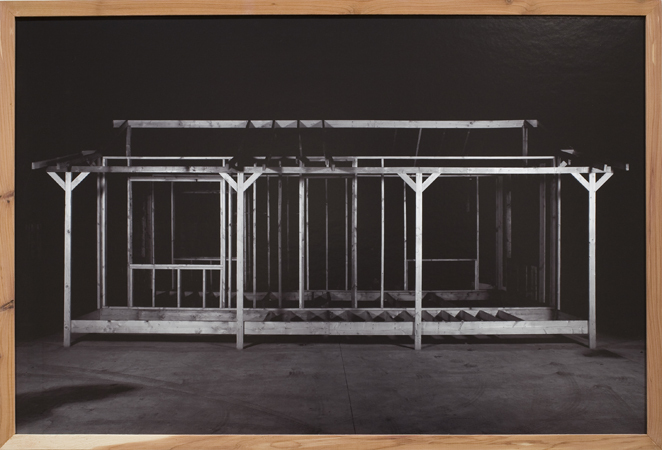 Archival inkjet print in artist's frame, 20 x 30 inches. The Things That Happened, 2011. 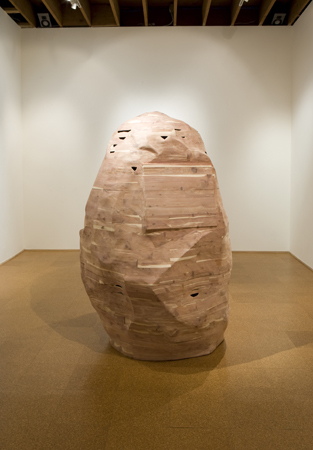 Carved cedar, 63 x 57 x 48 inches. The Things That Happened, 2011. 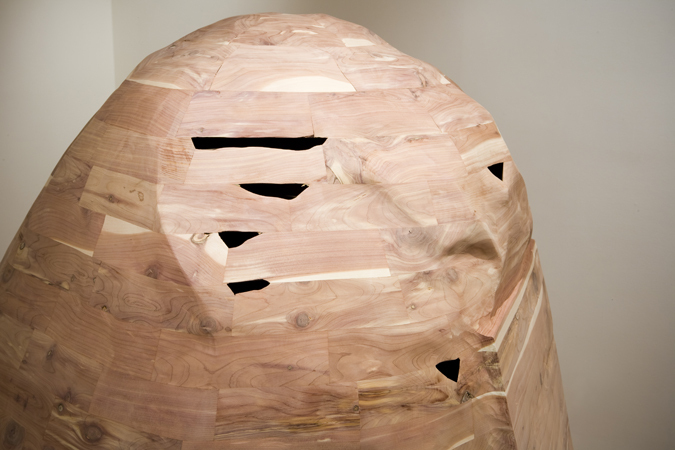 Carved cedar, 63 x 57 x 48 inches, (detail). 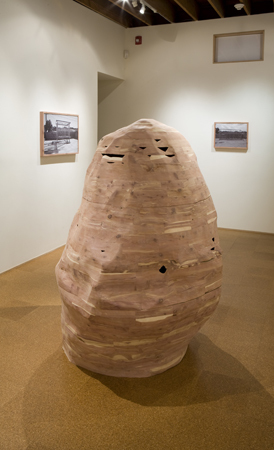 Resnikoff will also exhibit a new sculpture made from aromatic, rot resistant cedar, carved to take the form of a bronze monument-like boulder, the likes of which are frequently displayed at historical sites bearing a plaque describing the event that took place there. This work bears the same title as that for the show, and it is meant to mark a blank past. Its dry, dusty scent will fill the upstairs gallery suggesting that an event may have already taken place. Born in Berkeley in 1980, Resnikoff earned a BFA at the Cooper Union (2002) and an MFA at UCLA (2009). 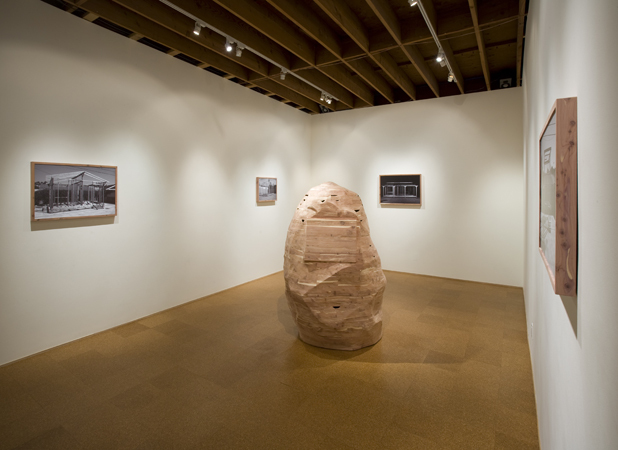 He has had solo exhibitions at Vox Populi Gallery, Philadelphia (2004); Fleisher Ollman Gallery, Philadelphia (2005) and has had work included in group exhibitions at the Pennsylvania Academy of Fine Art, Philadelphia (2008); Cal State Long Beach (2008); Carl Berg Projects, Los Angeles (2010) and Columbia College, Chicago (2011). His work in the 2010 Los Angeles Juried Exhibition at the Municipal Art Gallery was honored as the most outstanding work in that exhibition. This is Resnikoff’s first exhibition with Steve Turner Contemporary.